Zizzi Restaurants required a multitude of spaces for their annual ‘family gathering’. 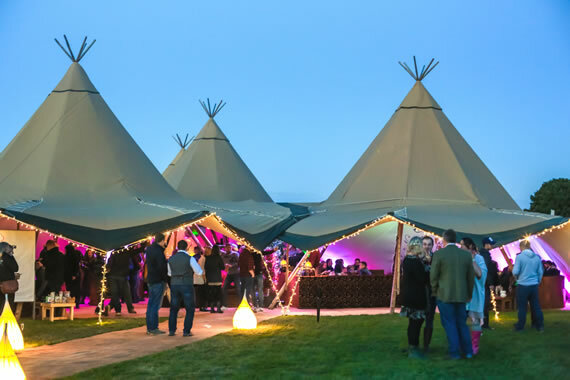 This included formal space to hold a business conference to look at the past year and future opportunities together with outdoor space to have an evening of celebration, fun and reward, large enough to hold a glamping field and festival style event for over 200 delegates. The 150 acre Mythe Farm and Mythe Barn site fitted these requirements perfectly. Delegates arrived in reception with their luggage taken directly to their overnight tent giving them time to chill and catch up with colleagues from around the country in the Cart Barn or Courtyard over a hot drink and breakfast snacks. The conference kicked off in the Grain Store for all delegates with the more formal presentations about the year so far. This was followed by a sumptuous lunch, giving time for people to get a glimpse of what was to come. The afternoon consisted of four themed breakout spaces for the delivery of sessions that revolved around opportunities for the year ahead, branding and, of course, food. Facilities utilised included tipi tents (pictured), the pavilion marquee, warehouse and our Oak Barn. The Pamper Tent created the space to talk about the day so far with colleagues whilst preparing for an exciting evening crescendo to Zizzi Fest; live music, festival food, bars, fun games, entertainment, and awards, followed by an overnight stay in the glamping field tents! "Both personally and on behalf of Zizzi I would like to pass on my huge thanks to you and all of your team for ensuring that Zizzi Fest was such a superb hit. We had a vision of how we wanted the event to go but could never have imagined quite how amazingly it would end up. We have received phenomenal feedback on every aspect of the day, evening and even the morning!"